Jennifer C. Ha is a founding partner of JLJ Law Group, PLLC and a nationally and internationally recognized attorney in the field of bankruptcy and immigration law. Her clients span across the globe and range from families and small businesses seeking legal advice on personal issues to CEOs of multinational corporations pursuing immigration benefits through joint ventures in the United States. Ms. Ha’s current emphasis is family based and employment-based immigration. Since entering into practice, she has helped hundreds of families obtain immigration benefits and assisted a multitude of employers with their staffing needs. Through her work, Ms. Ha has received numerous awards and recognition such as the Rising Star Award by the National Association of Women Business Owners (NAWBO), the Top 100 Lawyers Award through the National Advocates, and 2016 Law Firm of the Year. Outside of work, Ms. Ha has played an integral role in various community organizations throughout the country. 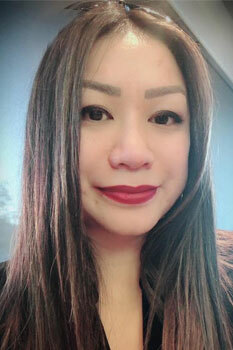 She has served as a board member of the Refugee and Immigrant Center, Vietnamese Community of Utah (VCU), head of the Miss Vietnamese Utah Pageant, Emcee of the Annual Lunar New Year Celebration for various organizations, and television host for the Dorchester House “Healthy Times” series in Boston, Massachusetts.